We started the week with a 3-day vacation (no laptops!) in Istanbul, hitting the tourist trail and just enjoying the city with our coworker friends. Istanbul was magnificent, but we were also happy to be back in the warm and sunny Kemer and the Coworking Camp Turkey. Welcome to our weekly recap! This one's for November 14th -20th, which is week 46, 2014. 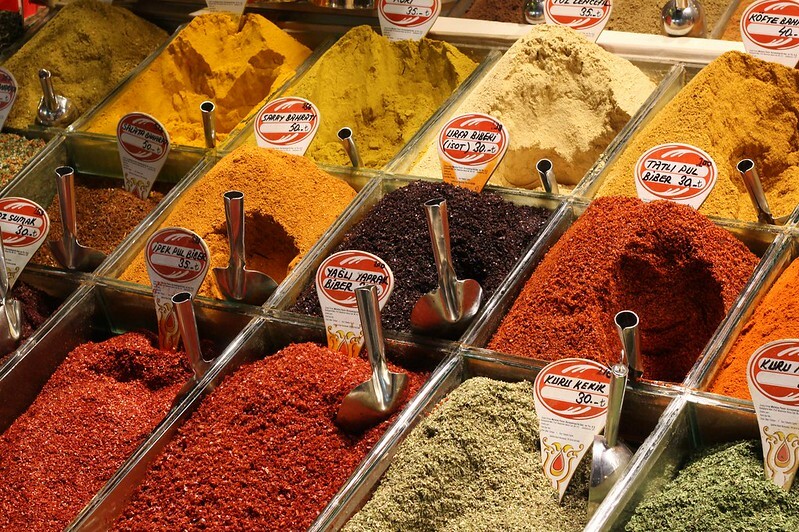 Tip of the week: If you don't want to get sucked in into the vastness of the Great Bazaar, but just want to get a taste of a (touristic) bazaar, the Spice Bazaar in Eminönü is a good option. It's much smaller, very clean and it smells good due to all the spices sold there. They also have all the normal tourist knick-knacks, from Turkish delights (lokum) to the hand-painted bowls. Prices are probably not the friendliest, but offer you a good chance to polish your haggling skills. When done with shopping/looking, you can catch a Bosphorus cruise from the nearby docks. Surprise of the week: We were at the Great Bazaar in the middle of the day, and suddenly most of the shops were closed or at least their staff was gone. After a moment of confusion we realised it was the prayer time. People gathered together, kneeled down on the floor and prayed. Even though I've been in Istanbul before, I hadn't seen this outside of mosques or private areas before. I guess the sales people are too busy to leave the Bazaar, but still want to fulfill their religious duty. 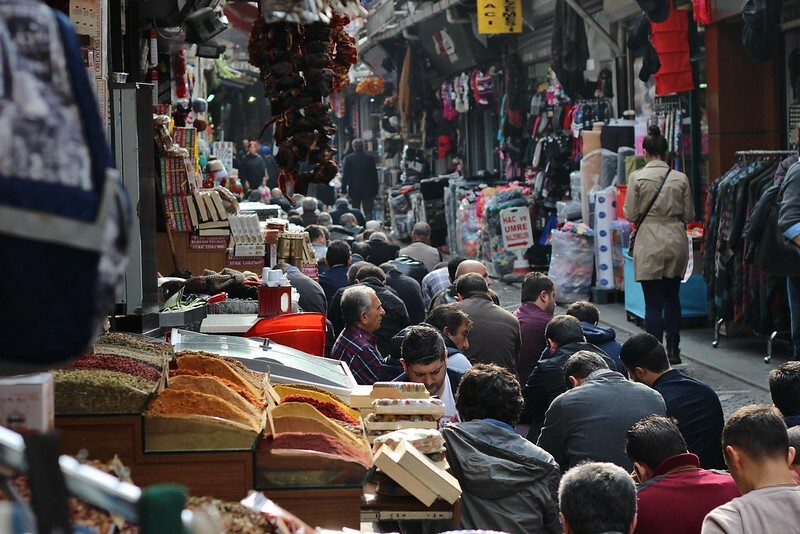 It was strange to see people quieting down for a prayer while others went on with their daily activities, just walking past. But here religion is much more a part of everyday life than back home in Finland, where religion is not that visible and you'd go to church for religious ceremonies. 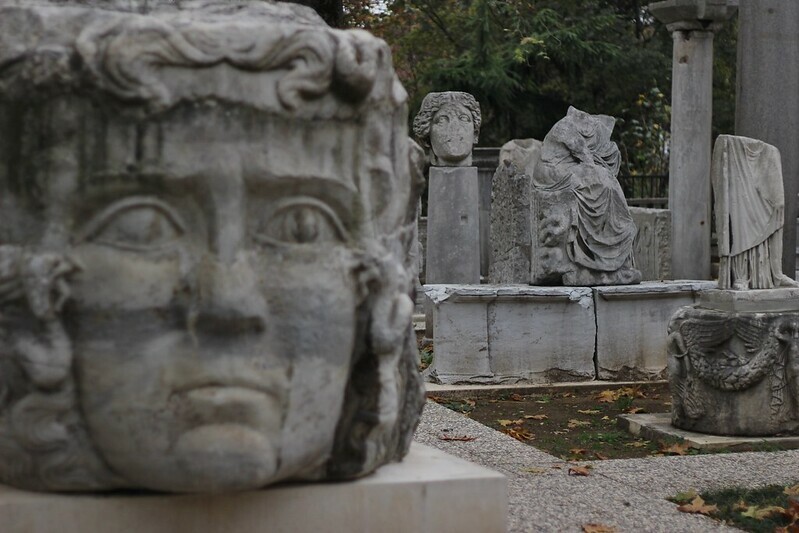 Random thought: The Istanbul Archeology Museums is a treasure chest of ancient wonders. If you've already done the "main sights" Blue Mosque, Topkapi and Hagia Sophia, head here next. From the dragons guarding the Ishtar gate of Babylon to the countless massive sarcophagi, there's so much to see. They have so many things that there are whole collections just laying outside, things that back in Finland would be the highlight of an exhibition and sealed behind glass and alarms. It kinda looks like a graveyard of ancient statues. What I've learned: Even though Istanbul is a very busy city, the Bosphorus trait is still very rich on fish, due to the currents and layers of different temperatures. 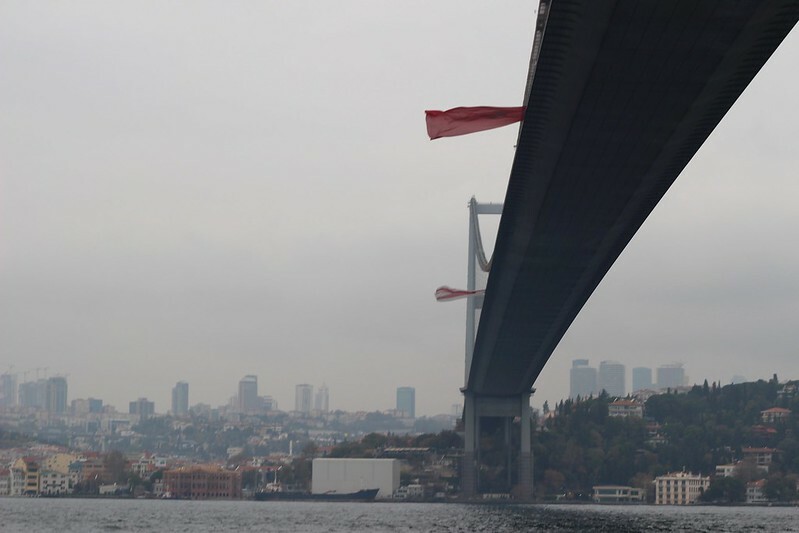 Many fish migrate between the Black Sea and Marmara, and Bosphorus is a great place to catch them. 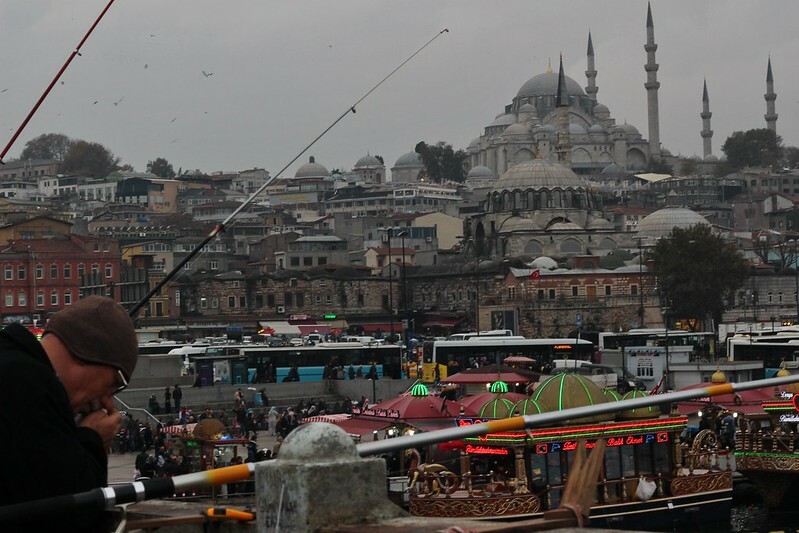 The Galata Bridge is lined with hopeful fisherman from early morning to late night. If you stop for a drink in one of the restaurants under the bridge, you can follow their process and maybe see a fish getting caught and being dangled up to the bridge. Food love: The kebabs! 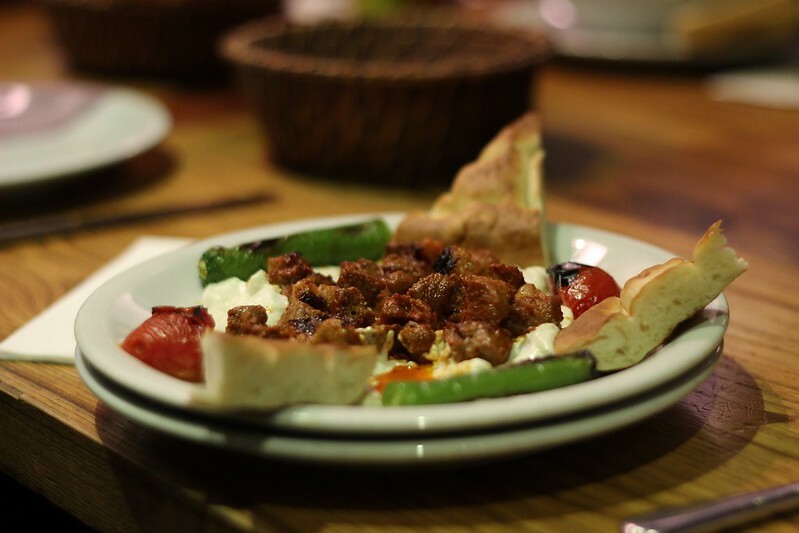 Tasty meat, roasted peppers, creamy yogurt and some fresh bread. So good. 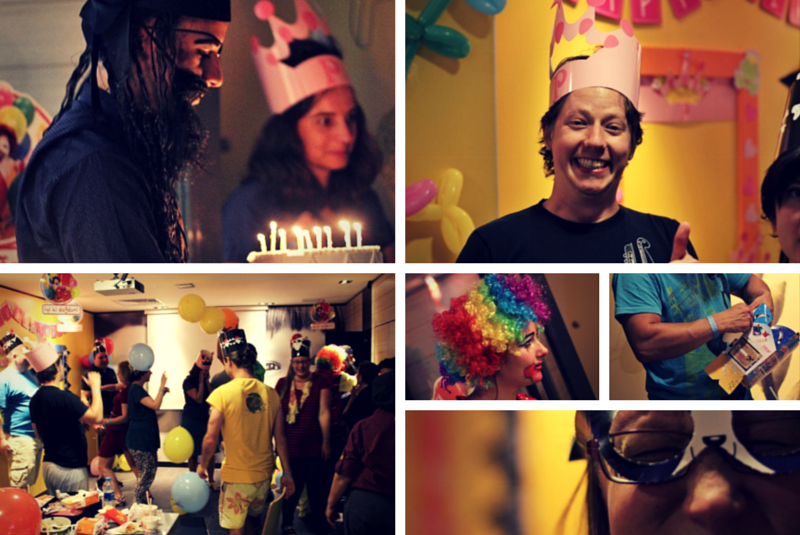 Workwise: The Coworking Camp is simply great. So many good discussions, fun games, learning from others, having fun. People keep extending their stay. Hotel California has been mentioned. Would you believe that I have been to Istanbul three times and still never seen the Istanbul Archeology Museums. Oh the shame!